Our club care services involves removing damaging oxidation, corrosion, rust and dings on your clubs. We do this through careful cleaning, buffing, and polishing of the clubs. This is a very hands-on process. But, it is important to keep your clubs in great playing condition. First, we apply specific chemicals to remove dirt and tarnish without damaging the finish. Besides that, the chemicals stop corrosion, rust, and oxidation. Second, we apply unique blended rubbing compounds. Finally, we utilize a series of 4 abrasive to fine grinds. 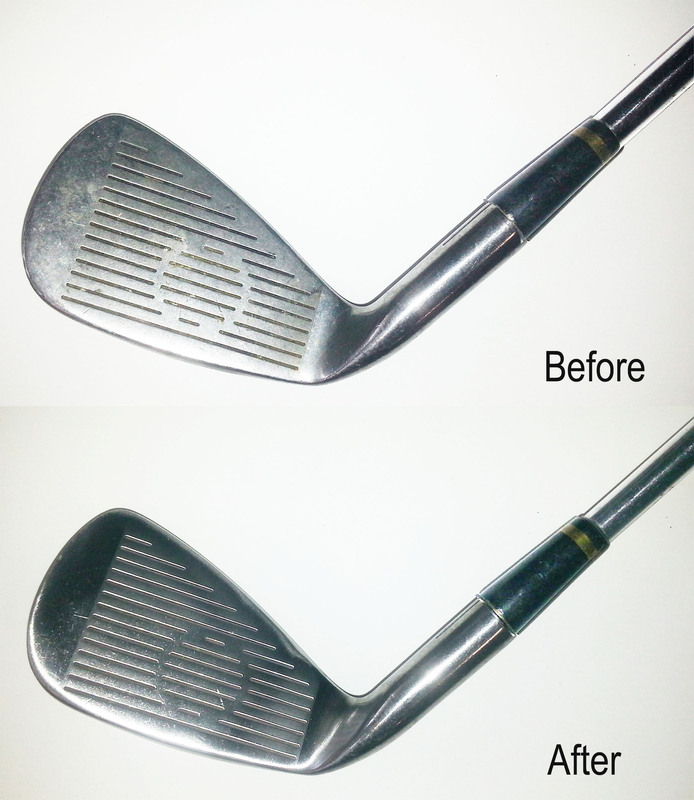 This process removes club facial nicks and scratches from all clubs. Therefore, these 4 specialty grinds handle deburring, polishing, finishing, and buffing. They put a high-gloss polish finish on iron and wood heads. 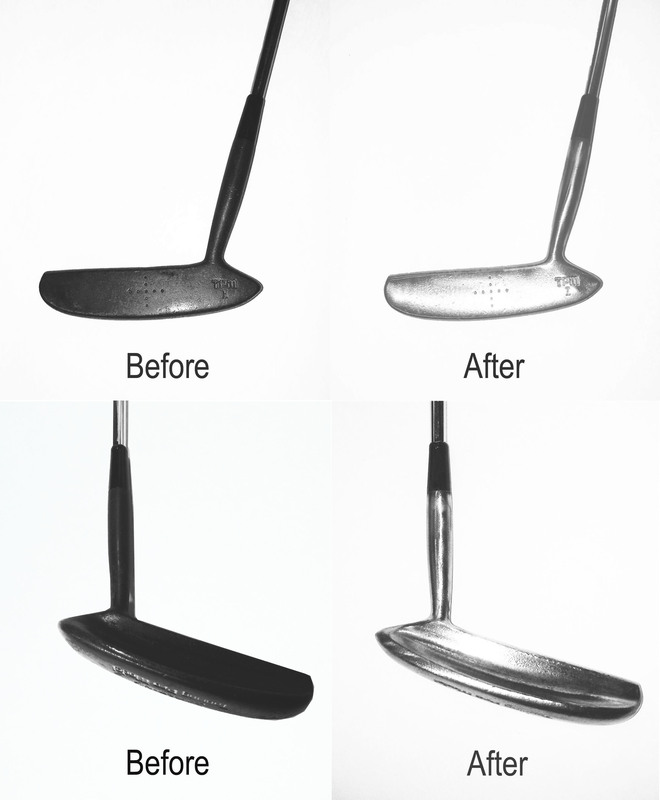 This important process can get your clubs looking much closer to their original appearance. Heavy deep scratches and dings may not be able to be completely removed. NOTE: Some special manufacturer dark finishes can not be exposed to this process. Consider Adding Our Iron Re-grooving Service.